Gone are the days when you could find a decent key chain from a gumball machine for twenty-five cents. These days, even the smallest of accessories are expected to be chic, and key chains are the next piece to go ultra-high-end. It started with Fendi and the adorable monster fluff-ball key chains that every street style star and fabulous fashion blogger just had to have. 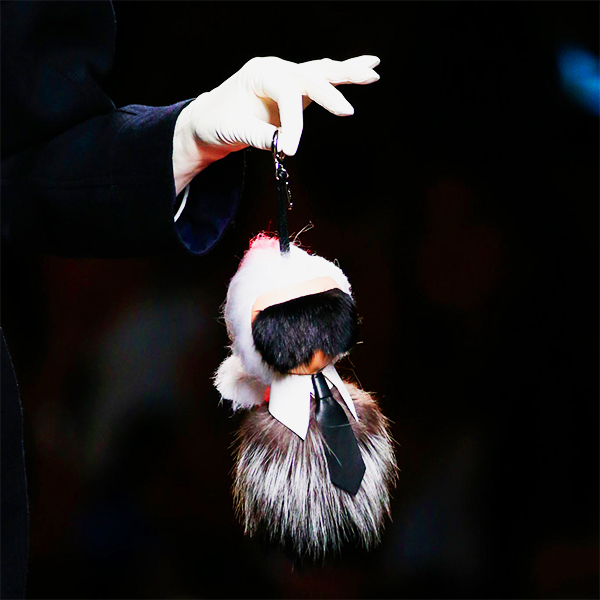 Then Karl Lagerfeld struck gold again with a new key chain version of himself for Fendi called “The Karlito”. The fashion crowd ate that up (as they do with anything that resembles The Kaiser) even with the cool $1750 price tag. Dang. As often as I'm pulling out my keys in mixed company (the perks of living in Los Angeles, where driving everywhere is a necessity) I wouldn't mind investing in a glamorous key chain, but for right now I'll probably spend my money on more noticeable fashion pieces. Would you spend the big bucks for a fashionable key chain?